Won 200 euros in travel expenses to Alicante, Spain as one out of two entries to represent KEA in the competition. 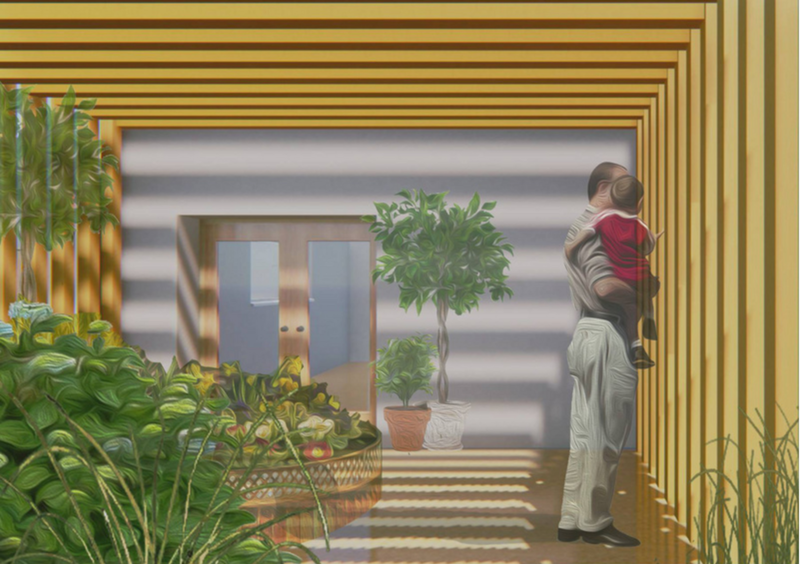 COMPETITION DESCRIPTION: The competition began with a week-long BIM workshop, where the challenge was to create a sustainable, low-energy courtyard house in Alicante, Spain. 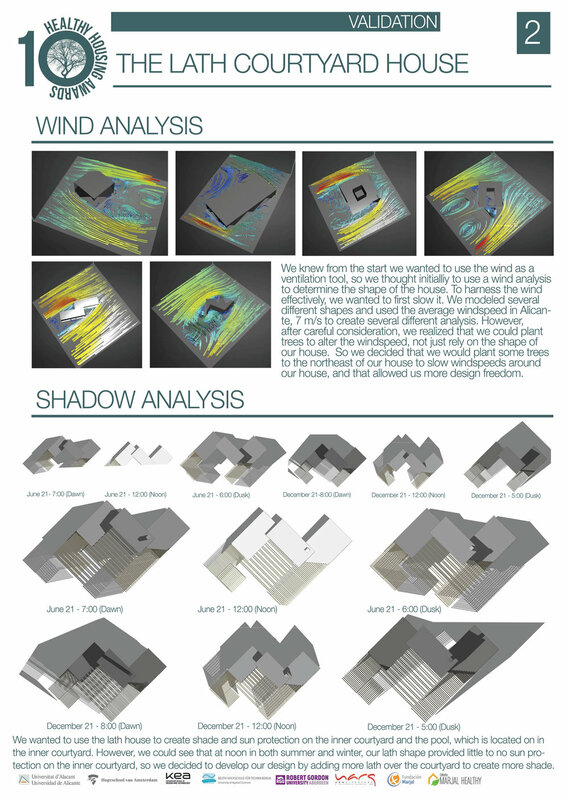 It was a requirement to use BIM tools to analyze the lighting and wind's effect on our house. Monika handled the entire BIM-work and analysis of our entry, and I came up with our concept, including research, sketches and renders. Our concept was to integrate a lath house into the courtyard design, to create a shaded garden. A bio-pool would also provide relief from the summer heat, and would run halfway into the house itself to create a kind of natural air conditioning through evaporation and ventilation. At the end of the week, our entry and one other were granted a total of 400 euros to travel to Alicante, Spain as finalists, where there was another two-day BIM workshop. We had to create three printable A1 sheets, and then present a powerpoint presentation about our entry in front of a panel of judges for the final deliberation. These show the idea of the lath houses and how they function in relation to the bio pool. This image was featured on KEA's website in an article about the workshop and competition. The base Enscape render was generated by Sara Larsson Castro, and I photoshopped it.